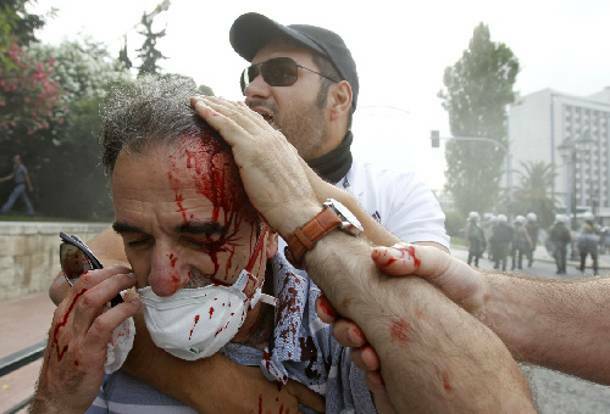 Today the Greek junta showed its true face once again, using the most brutal methods to keep the Greek people from expressing their opposition to the criminal methods being used to take Greece apart and sell it. Beating, running down and shooting at unarmed people, at doctors trying to help. These are the methods of fascists. Of terrorists. Of tyrants afraid of their own people.